SOFA (which stands for Sculpture Objects & Functional Art) is one of the world's foremost fairs of contemporary arts and design. 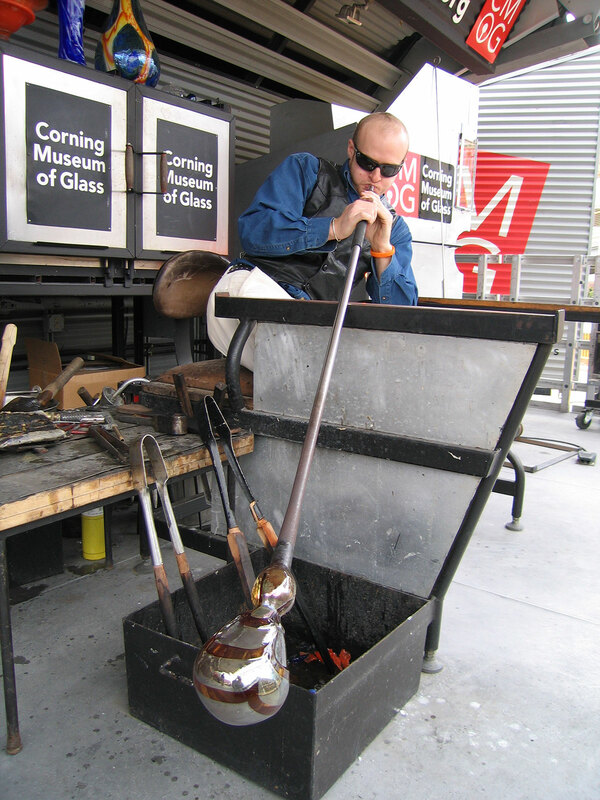 At SOFA Chicago 2014, Museum demonstrators and renowned artists represented by SOFA galleries will present live hot glassblowing on the Hot Glass Roadshow stage. The Corning Museum of Glass will also be presenting a lecture during the SOFA Chicago lecture series. Join us on Friday, November 7 from 3 – 4 pm in Room 324. for a lecture focused on the opening of the new North Wing, the world's largest space dedicated to the presentation of contemporary art in glass. On March 20, 2015, The Corning Museum of Glass will open its new North Wing, the world’s largest space dedicated to the presentation of contemporary art in glass. Designed by Thomas Phifer and Partners in New York, the wing will include a light-filled 26,000-square-foot contemporary art and design gallery building, as well as a new 500-seat glassmaking demonstration and artist residency venue in the renovated facility of the former Steuben Glass factory. Panelists from The Corning Museum of Glass: Tina Oldknow, Senior Curator, Modern and Contemporary Glass; Rob Cassetti, Senior Director, Creative Services & Marketing; and Eric Meek, Hot Glass Show/GlassLab Manager discuss how the 100,000-square-foot addition will dramatically enhance the visitor experience for the Museum’s growing domestic and international audiences.